It’s the middle of summer, which means it’s almost October, which means it’s almost Halloween, which means it’s the perfect time to start talking about the fact that we still don’t have a sequel to Hocus Pocus, Disney’s 1993 classic about the three mischievous Sanderson Sisters. Over the last almost 25 years, the movie has achieved way more than just a cult status; it’s got an entire dedicated fandom who love (but as a child, feared) Winnie, Sarah, and Mary Sanderson. It might be the reason you have a black cat named Binx, or joke about a virgin lighting the Black Flame Candle. Fans — and the stars — of the film have been nothing but vocal about their love and need for more of these sistaaaahs over the years. And, since it’s already been established that it’s almost Halloween, it’s time to talk about the lack of more Hocus Pocus in our lives. 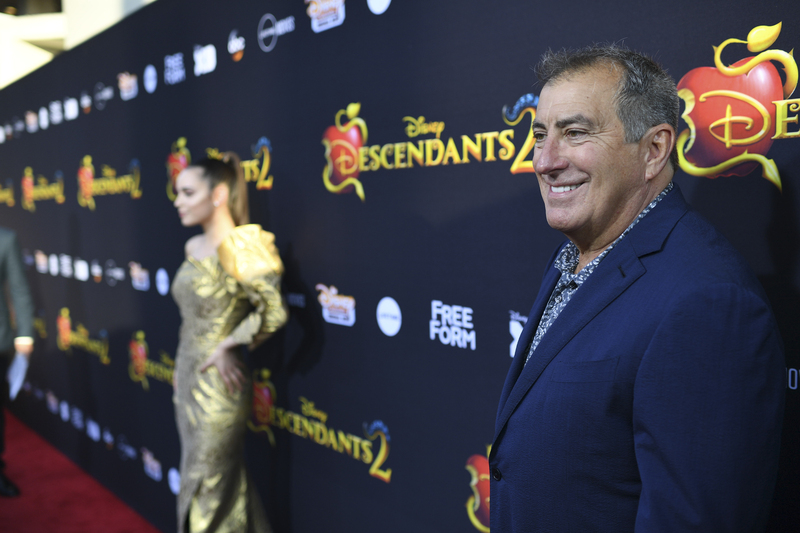 HelloGiggles caught up with director Kenny Ortega at Disney’s D23 Expo, where the long-time director and choreographer was there for his brand new DCOM, Descendants 2 (airing this Friday!!). Rest assured, Ortega wants a Hocus Pocus sequel just as much as we do — but what he doesn’t want is a remake. HelloGiggles: It’s usually Bette Midler who starts the rumor that there’s gonna be a sequel. Kenny Ortega: Well, we all want one. We all want one. I can’t speak for Sarah because we haven’t been in touch for a really long time. I adore her. She’s so talented. But I know that Kathy Najimy and Bette are up for it. They’ve made that clear. I would love nothing more than to find out that there’s an interest in. HG: [laughs] There’s an interest! KO: I think there is. I don’t know what it hasn’t happened. I don’t know why, and I’m not in the position to do studies. I think that Disney’s doing a pretty good job at the choices that they’re making. Right now, taking all of their classic animations and doing them as live action musicals. But that would be fun. That would be fun. Any opportunity. I worked Kathy Najimmy on Descendants, and also we did an independent film together a couple of years ago called A Change of Heart, where she came in and played a leading role. I just saw Bette Midler on Broadway in Hello Dolly!. She is insanely brilliant. But then again, I’ve always thought of her as the number one most extraordinary live female performer. She just is captivating. Yeah, I would love it if they’d give us another opportunity to relive [Hocus Pocus], to go back in and bring them back again. HG: How would you feel Disney if Disney opted for a remake instead of a sequel? Would you be open to that? HG: Would you still want to be involved? Like a remake with them in it? A new imagining. In other words, bringing them back for a second story as opposed to bringing them back for the same story. You can check out Ortega’s latest, Descendants 2 airing on (deep breath): Disney Channel, Freeform, Disney XD, ABC, Lifetime, and Lifetime Movies at 8:00 p.m. this Friday, July 21st.